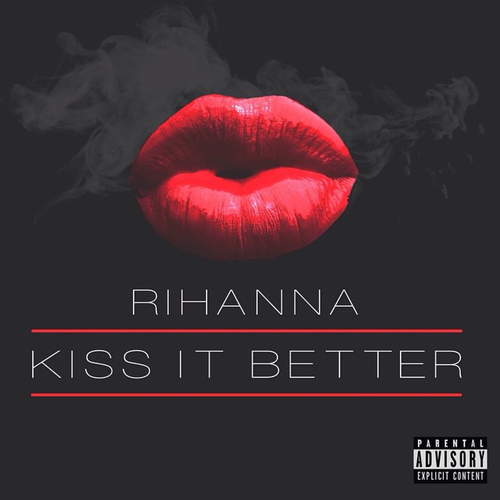 “Kiss It Better” is a song recorded by singer Rihanna for her eighth studio album, Anti (2016). It was written by Rihanna and Teddy Sinclair together with its producers Jeff Bhasker and Glass John. It impacted the radio stations in the United States on March 30, 2016 together with “Needed Me”. “Kiss It Better” is a pop and R&B power ballad, which features an electric guitar riff, which takes influence from a ‘80s and ‘90s-pop. The song’s lyrics focus on a destructive relationship that the singer knows is wrong for her, but one she finds irresistible. Upon release “Kiss It Better” was met with positive reviews from critics, who praised its production and compared it to TLC’s “Red Light Special” and Prince’s “Purple Rain”. The songs accompanying music video was directed by photographer Craig McDean and premiered on March 31, 2016. The video was inspired by dadaism and surrealism, and depicts Rihanna in a dark background. This entry was posted in Entertainment+ and tagged Cruel Youth - Mr. Watson, Rihannna Sizzles in new video for Kiss it better, Sean Kingston - One Away, Taylor Swift Black Lace Jumpsuit New Look, Taylor Swift wears grungy flannel. Bookmark the permalink. CRUEL YOUTH HAS A FRESH SOUND. HOPE IT STAYS THAT WAY. rihanna she is a goddess . i love so much﻿ rihanna. I can’t get enough of her﻿.